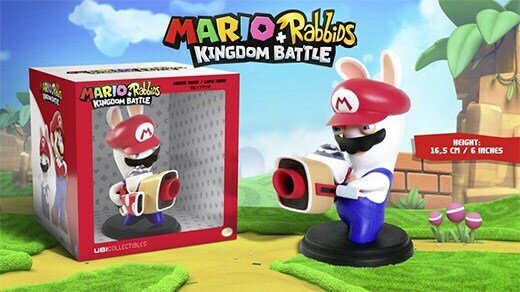 Rabbid Mario is a fearless fighter with a strong bragging personality. He likes to think no damsel can resist his undeniable charm… or his big moustache. He never hesitates to plunge into a fight, simply because he really likes it. As the brawler of the team, he benefits from solid moves, dependable defense, and melee skills which are a game changer in any fight. 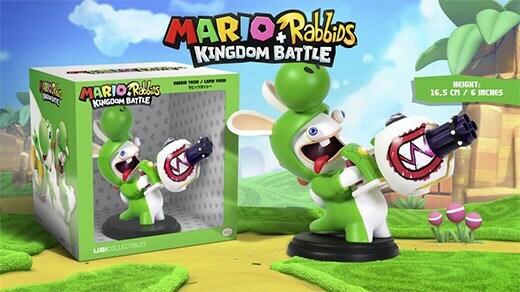 Rabbid Yoshi is a crazy, out of control fighter. Rules don’t apply to him, and he prefers shooting before thinking – which usually ends in destruction. Some say he can sometimes behave quietly… but only when he is smiling foolishly at his team after shooting crazily at the enemy. 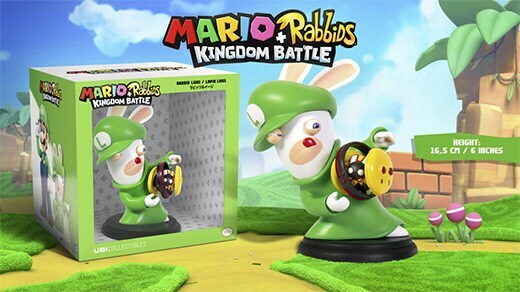 His infatuation with heavy weapons and explosions can change the tide of a battle in an instant. 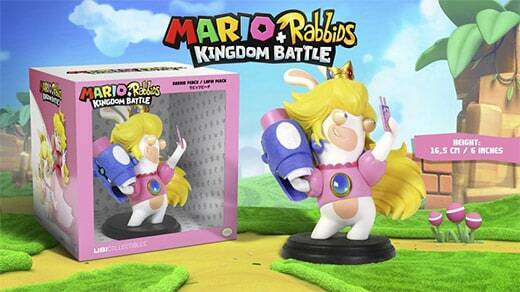 Easily bored and sassy, Rabbid Peach is a fighter princess. She is convinced that she is the most beautiful and fearsome hero on the battlefield, and she never misses an occasion to take a selfie, even in the most dire of situations. 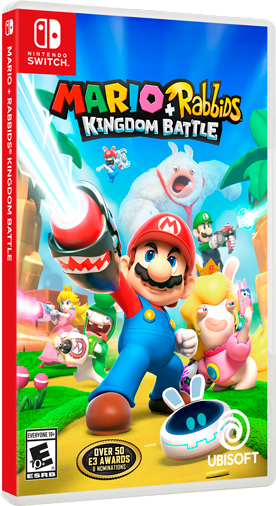 This very combative hero is also a proficient healer in combat, while always keeping an eye on her beloved Mario.